We have paneling available in Paint Grade, Melamine, Formica, and Veneer. The melamine covering for a wooden panel is a durable, tough covering, and is also the most affordable covering, especially when it comes to your standard colors that can match your existing gondolas and store fixtures. 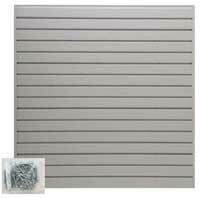 Slatwall panel inserts are either made of plastic or aluminum. The inserts add strength and stability to any slatwall panel for applications that need more strength for hanging heavier items or multiple items on one slatwall hook or bracket. The ultimate Slatwall Panel that is avaiable in a 4' square foot section. 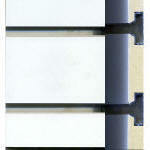 Arrives in 6" high X 48" wide peices that can be installer on a wall in many diferent configurations. 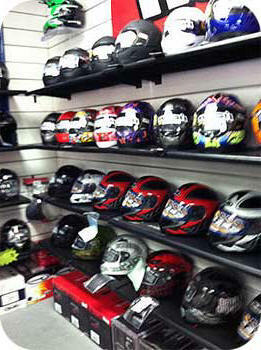 Many different attractive and affordable boxes and containers designed and compatible with most Slatwall Panel Systems. Available in a 24" wide X 13" deep and 48" wide X 13" deep configuration. Available colors are black and white. Sold in complete kits that include shelves and brackets.